Where I Save & Splurge On Beauty Products | Chelsea B. 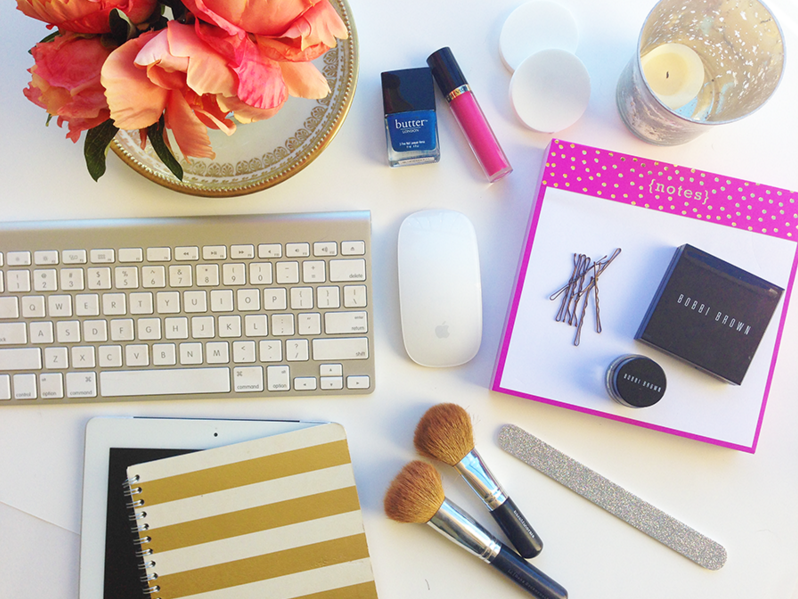 Everyone has different priorities when it comes to budgeting for beauty expenses. One person's 'save' is a 'spend' for another. Here are some of the ways I save and splurge on beauty products and habits! Splurge: Skincare - I feel like skincare is probably the most important feature one can invest in. I'm at the age where I want to start improving my skincare routine. I'm moving up from acne products to more "grown-up" skincare items. I love splurging on one of my favorite brands from Sephora, Origins. I love their moisturizers and cleansers. Save: Foundation - I used to be someone that cringed at the thought of using a drugstore foundation. Now, I'm seriously obsessed with drugstore foundations! One of my all time favorite foundations is the Maybelline Matte & Poreless. The coverage is amazing! Splurge & Save: Eyeshadow - This one is tough, because I really love drugstore and high-end eyeshadows. I use both of them. There are times though, that I've been at Sephora and decided that I just needed to splurge on an eyeshadow palette. Sometimes I make impulse decisions in the Sephora checkout line...it's kind of a problem haha. Splurge: Mascara - I know that everyone has mixed feelings on this, but I'm ok with splurging on mascara. I've used drugstore mascaras in the past, but I've decided that I really prefer high-end mascaras. My all time favorite is the Marc Jacobs Velvet Noir Major Volume mascara. It's amazing! Save: Lipstick - I really don't see the point in splurging on lipstick. I think drugstore lipstick is just as good as high-end. I also have a bad habit of losing lipsticks or forgetting which lipstick is in what purse. It's cheaper in the long run for me to purchase drugstore lipsticks haha! Save: Brushes - I'll be honest and say, I'm really not the best at taking care of my makeup brushes. Plus, as a makeup artist, I have about a million different makeup brushes. I've found the brand Morphe Brushes and they have amazing quality brushes that are super affordable. Splurge: Nails - I don't splurge all the time, sometimes I do paint my own nails at home. I did splurge and get acrylic nails, which I loved! Right now I don't have acrylics on, but I'm thinking about getting them done again soon. Save & Splurge: Eyebrows - I tweeze my eyebrows at home. I've always been really scared to go and get them done by someone else. I also don't really see the point of paying someone to do my eyebrows. I will splurge when it comes to getting products to fill in my eyebrows, though. I love the Anastasia Beverly Hills products. Splurge: Spa Treatments - Because sometimes you just need a relaxing day at the spa. Treat yourself girls! What products or habits do you splurge on? Tell me in the comments!